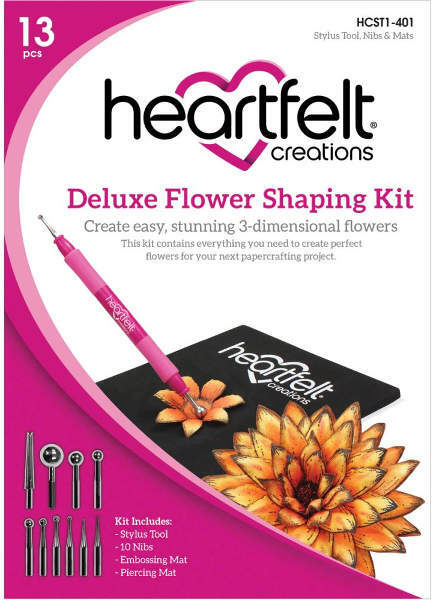 Lifelike flowers are at your fingertips with the Heartfelt Creations Deluxe Flower Shaping Kit. A foam molding mat, piercing mat, cushion grip stylus and 10 interchangeable tips are neatly nestled in a beautiful sturdy case with built-in storage for all the kit components. Changing tips is a snap with the unique magnetic design of the shaping tool. Simply insert the desired tip into either end of the tool and you are ready to pierce, curl, emboss or shape any size petal or leaf. 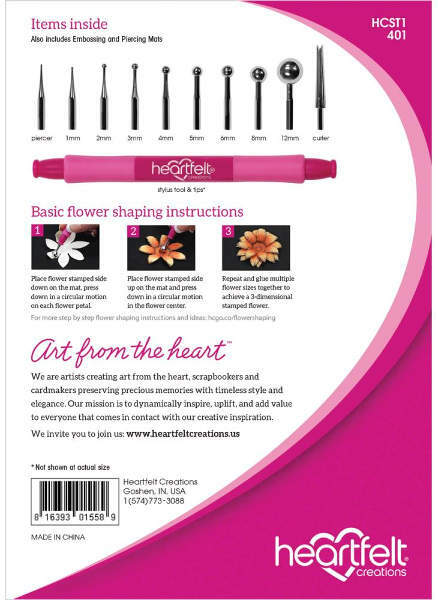 A jumbo 12mm tip allows you to create perfectly rounded petals on even the largest flowers, while the smallest tip can be used to add delicate veining and texture to leaves and petals. Add decorative brads to flower centers with the piercing tip, and roll perfect petals with the curling tip. 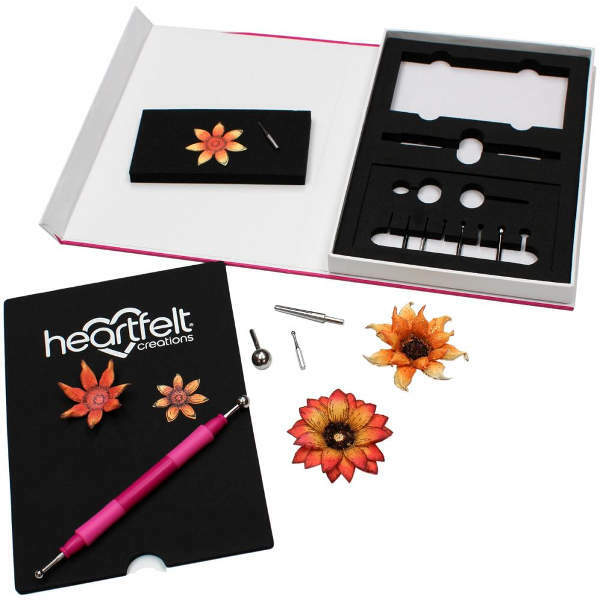 This Heartfelt Creations Deluxe Flower Shaping Kit is designed to work with all Heartfelt Creations floral stamps and dies. Self-storing case: 6" x 8.25" x 1"
Molding Mat: 5.25" x 7.5"
Piercing Mat: 4.5" x 2.25"
Cushion Grip Stylus: 4.5" x 1.5"